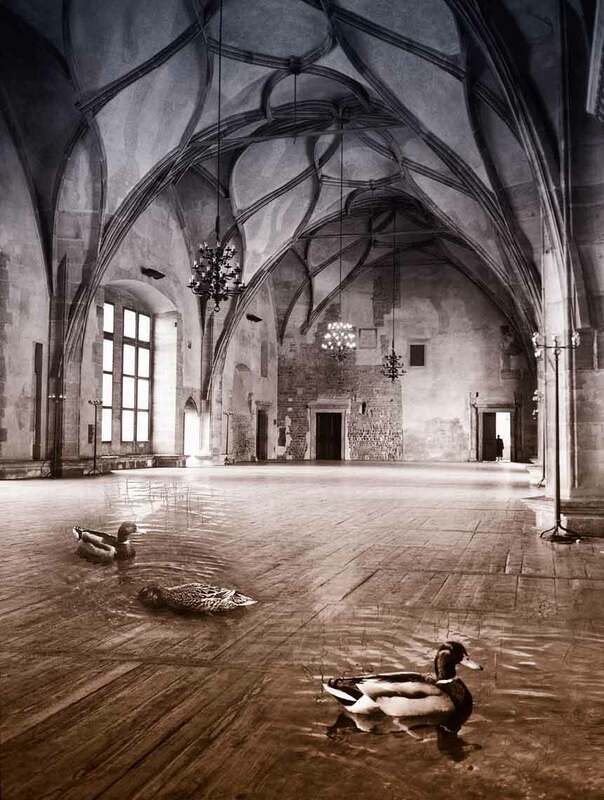 Defenestration Ducks - This is the jousting room of Prague Castle, a couple of rooms away from where the first defenestration of Prague took place. I took the photograph of the huge hall and waited for a person to walk through the doorway in the distance to show scale. I added the ducks in Photoshop later.